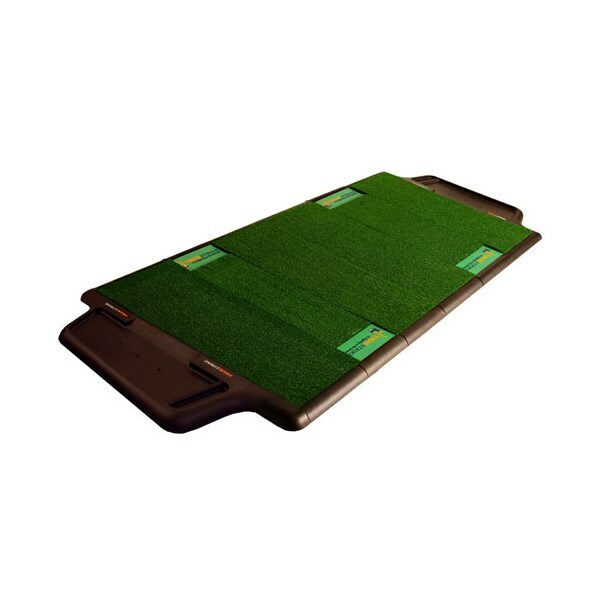 This is the ultimate TrueStrike™ – it is aimed primarily at golf professionals and driving ranges but if you have the space it’s also fantastic for home golfers too. Both left and right handed golfers can enjoy the full TrueStrike™ experience without any configuration changes required. 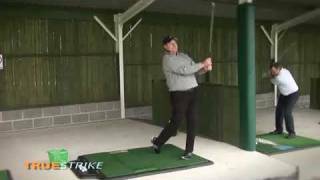 Every golfer from amateur to expert can benefit from practicing with TrueStrike™. The core fundamental design of TrueStrike is fiberbuilt to last and react like grass when hit, allowing golfers to have a realistic practice so they play like fairway pros out on the grass. 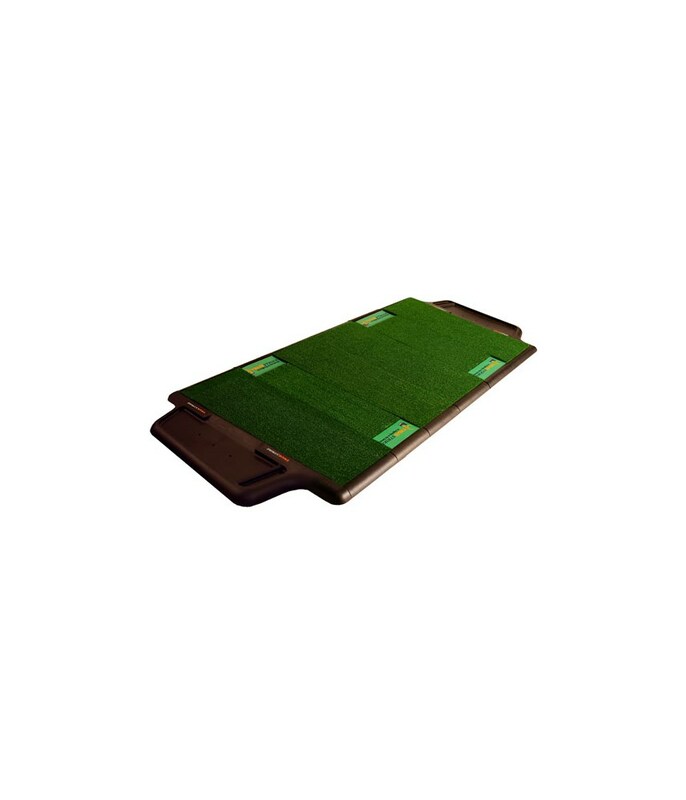 The TrueStrike golf mats have a “ruckable” top surface and a gel-filled divot simulating subsurface which accurately recreates the effects of playing off a natural fairway by allowing the club head to play through the playing surface as it would on turf. Fed up with unrealistic practice on ordinary golf mats? TrueStrike is the answer. TrueStrike’s fairway forgiveness™ effect helps improve practice experience in the commercial golf practice range and at home by realistically and accurately replicating shots from the fairway.